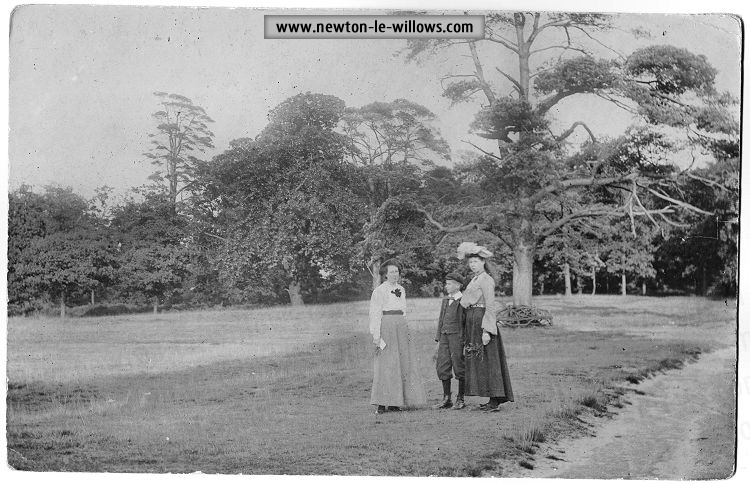 Newton le Willows had for years had a glass works, making bottles and flat glass, this flat glass was at the time made by spinning out a large blob of glass into a large circular plate, and then cutting from this large flat plate, the largest square or rectangles possible from the centre to the edge, because the flat glass was taken from this spinning out of a single blob, it meant it was pretty impossible to make a very large single sheet of glass, the max size available, no matter whatever you required, was the largest square that could be fitted between the centre and edge of the spun glass plate. 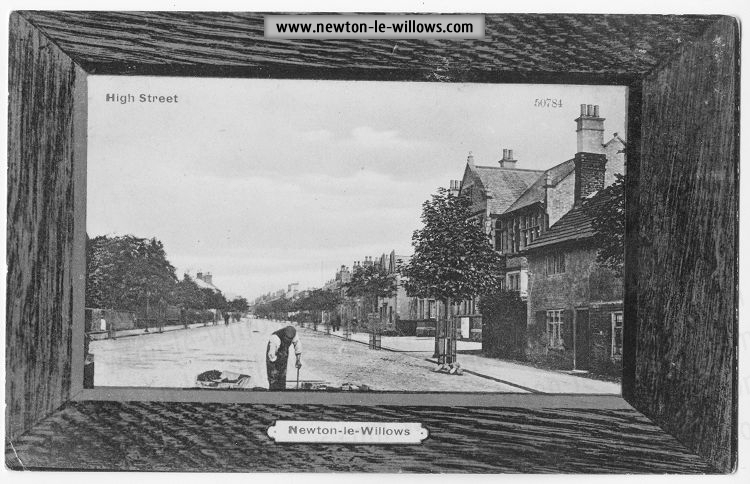 Although glass making was undertaken in the area prior to 1832, this story has much todo in particular with Newton Glass Works, which used to be on Borron Rd, It was owned at this time, by Mr Robert Davies, solicitor of Warrington, who had inherited the Newton Glass Works from his father who was the first proprietor, Robert Davies later sold it to Messrs. Ackers, Abraham and Co. In 1851 Messrs. William Stock and Son., built new furnaces and the chimney, some with the 1851 date on them. 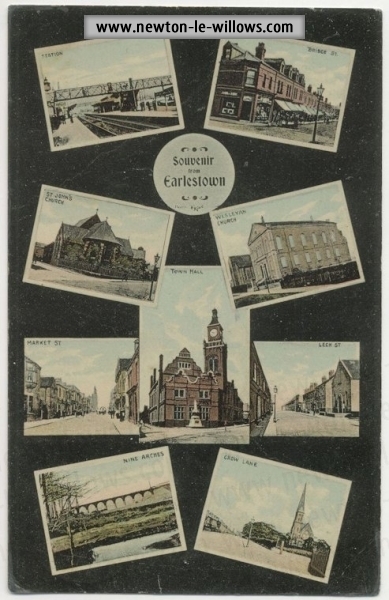 Around this time they introduced the manufacture of German sheet glass, for which purpose they obtained the services of some Belgian glass blowers from either Charleroi, Gosselies, Jumet, La Louvire, or Mons – great centres of that industry – and who spoke the Walloon patois and French. Using the new process’s taught by the Belgians, and due to a massive increase in demand for their cheaply mass produce flat glass, Messrs. William Stock and Son decided to undertake a massive expansion to the Glass Works, and asked Peter Mayor, at the Tilery, on the Opposite side of the road from the Glass Works, to make a million bricks for them, this was to meditated great extensions to the Glass Works premises. The Brick Works / Tilery opposite the Glass Works, was built sometime in the early 1840s by Mr. Peter Mayor, the grandfather of the present 1916 Newton le Willows Rate collector, it was built as a Brickworks Tilery and Pottery, and where in addition to hand-made and machine pressed bricks, he made domestic pottery, tiles for shop fronts, chimney pots, roofing tiles, drain pipes etc. 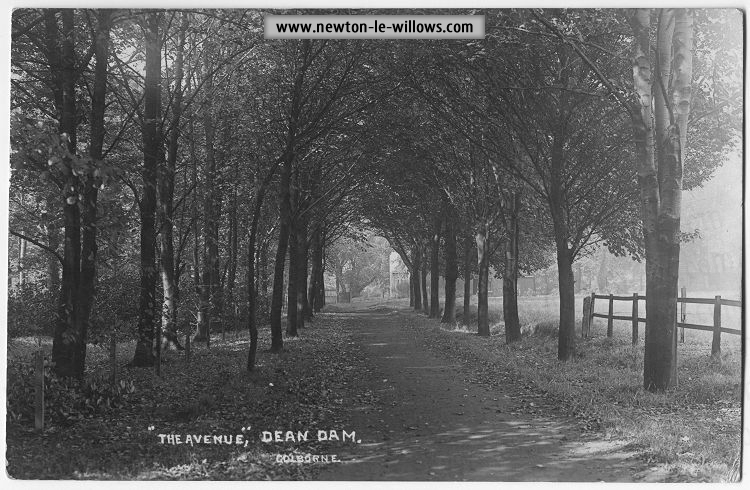 It was here that the pipes were made for Mr. Thomas Legh for draining Newton Common. 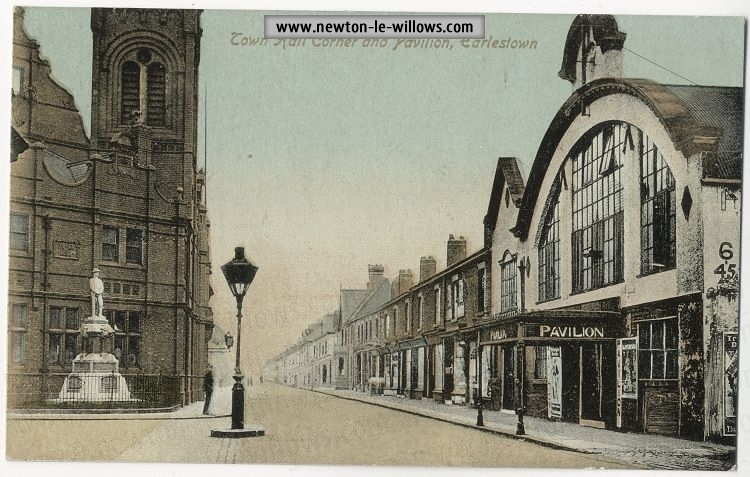 Back over the road, the two new Glass Works proprietors did extend the works which by the close of 1854 consisted of Two Crown Glass Houses and One Sheet Glass House, these were capable of producing 7,000 tables of crown and 4,000 pieces of sheet glass per week. 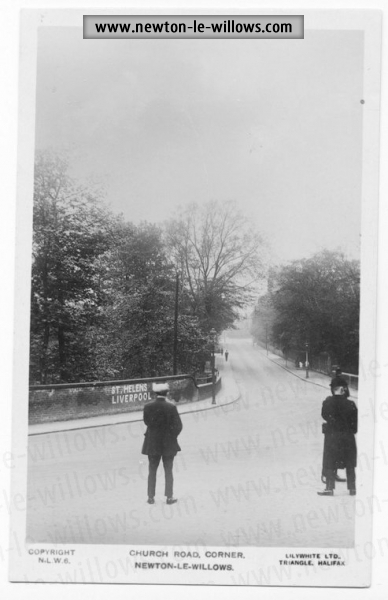 The Glass Works was directly linked to the Railways, by a line running beside the road, along Crow Lane from the Vista Road direction, which is why Crow Lane between Cross Lane and Vista Road even today is so wide. 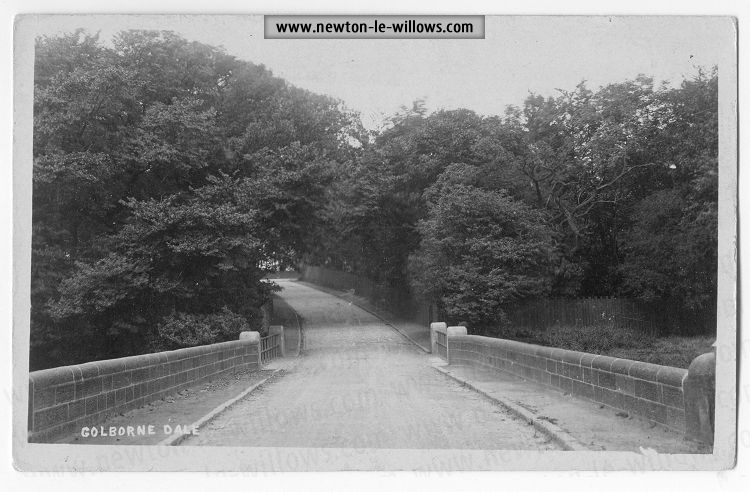 At times there was a congestion of road traffic and railway traffic on Crow Lane, but that ceased when the branch line from the colliery was changed from the front to the back of the houses in Crow-lame and modernised. 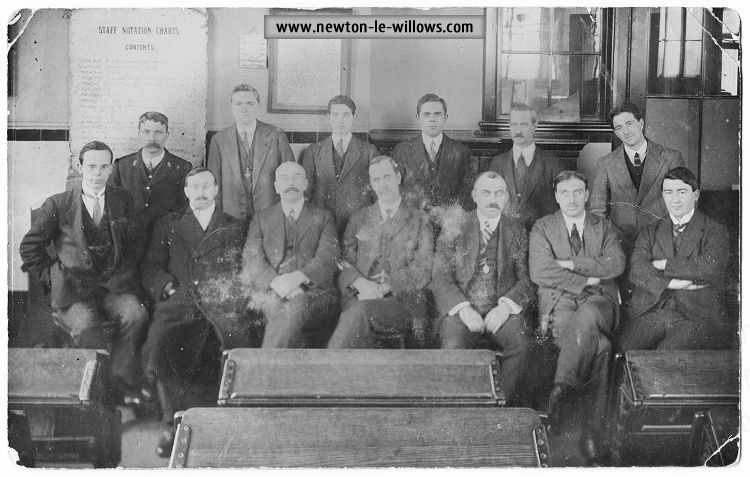 This Newton glass company was obviously a most serious competitor to Chances, Pilkington’s and Hartley’s, the countries largest manufacturers of sheet glass, more so because the go-ahead Manchester man, Robert Gardner was reported by William Pilkington to have sounded the economic standings of Newton Glass Works as being “the more he makes, the cheaper he gets it”, William Pilkington also conveyed the sad news to his glass trade partners, that Robert Gardner had “a strong antagonistic feeling against the Glass Trade and its members, which he says he will purge if he stays in it”. Unfortunately Robert Gardner lacked the knowledge to fight within this trade on his own, he admitted himself that he was “as ignorant of the Glass trade as with the pen I now write this”, and this meant he had to rely heavily on his partner William Stock. 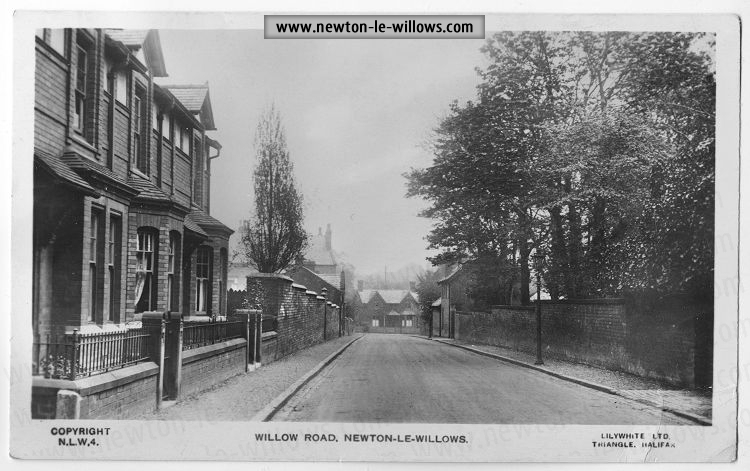 However by 1855, the two Newton Glass proprietors were drifting apart. 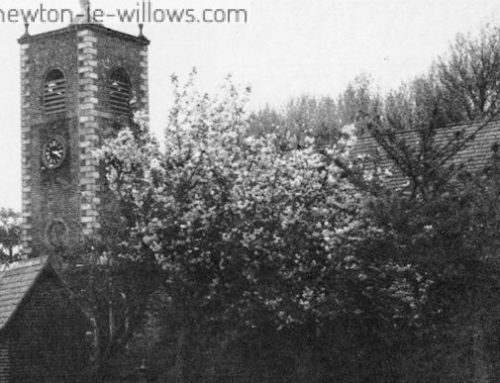 William Stock was putting up another Glass Works at West Leigh, only a few miles away, and Robert Gardner confessed that he had lost all confidence in him. It must be remembered that while all this was happening, the Tilery over the road from the Glass works was still happily making bricks, for the million brick order from the Glass works opposite,, and maybe other orders for William Stocks new Glass works at West Leigh, since huge numbers of bricks were needed for each glass furnace and ancillary buildings. 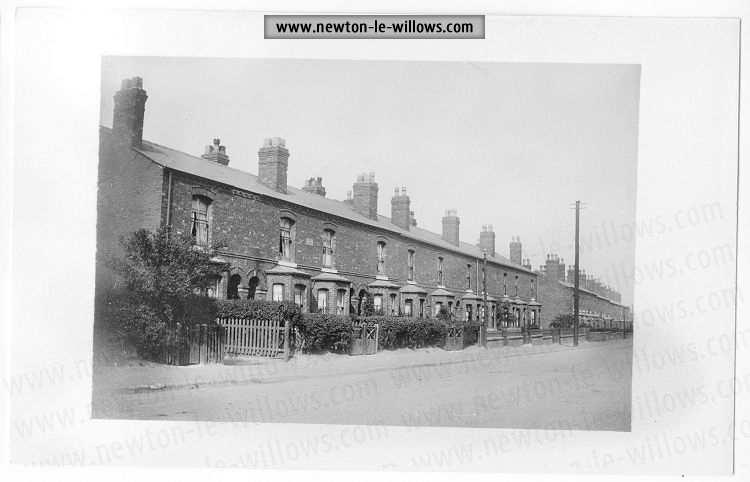 At the same time, William Pilkington from St Helens, urged his fellow trade manufacturers to get together and buy out Newton Glass, describing it as “the most formidable enemy that we have ever encountered”. So, on the 4th July 1855, it was agreed between Pilkington and Gardner that £12,000 should be paid for the works, plus and additional £2,500 for the furnaces, all materials apart from finished glass to be taken at valuation. 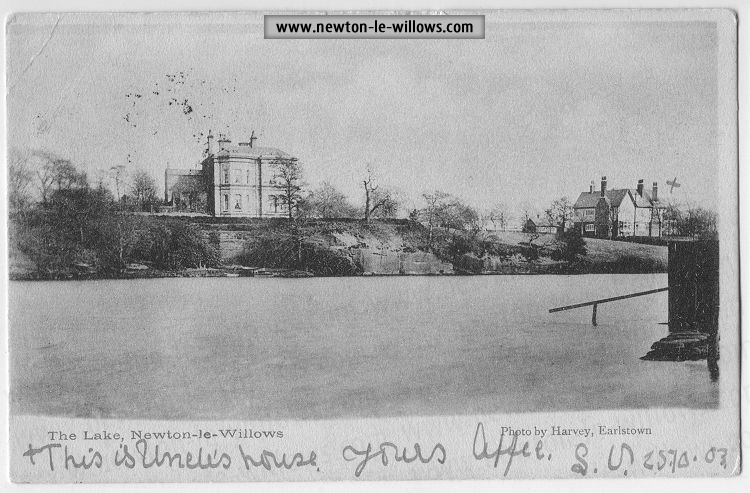 A week after this agreement was reached representatives of Chances, Pilkington’s and Hartley’s met at The Great Western Hotel in London, and agreed to bear joint responsibility not only for the purchase of the Newton le Willows Factory, but also for the Tyne and Tees, Old Swan and Bagot Street Works, the whole scheme depending upon the successful accomplishment of the Newton agreement of 4th July. They invited three other Window Glass firms – Swinbourne at South Shields, the Wearmouth Glass Company and the Nailsea Glass Company (Bristol) – to join them in this agreement. “Newton is Shut-up, We Have possession. Our own manager has charge of the furnaces six pm”. 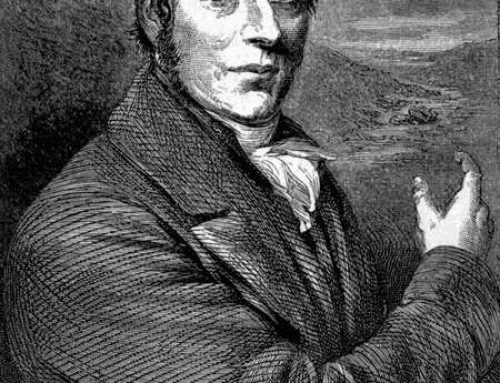 There were hitches in the valuing of materials at the works and these caused James Hartley to complain bitterly against William Pilkington who he believed was “temporising for his own ends”. But when all the facts were explained to him, he agreed that it was Robert Gardner’s solicitors who were at fault. Now, remember the brick orders. Its my belief that Peter Mayor at the Tilery on the Opposite side of the road from the Glass Works, was still making the million bricks for them, for the original order or others, I would guess that when the Glass Works went into the ownership of Pilkington’s, Peter Mayor went across the road, to ask about payments to the previous owners, million bricks order. 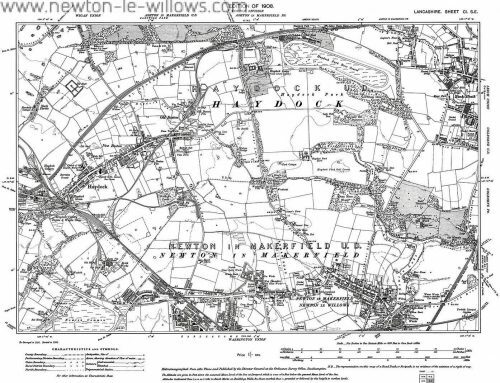 The last thing Pilkington’s had in mind was to extend the Newton Glass Works, they had purchased it, purely to close it down, so I guess Peter was told he wasn’t going to get paid, being that the Glass Works and Tilery were on opposite sides of the same road, the order was probably just shouted across, word of mouth, and Pilkington’s probably didn’t want to uphold the agreement. 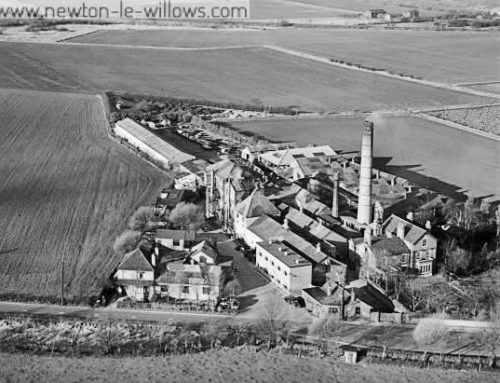 In Lane’s history of Newton, the Tilery Owners nephew writes about the cancelled great extensions to the Glass Works premises, saying that the project failed, either through the depression in trade caused by the Crimean War or the pressure put upon them by the St Helens companies. 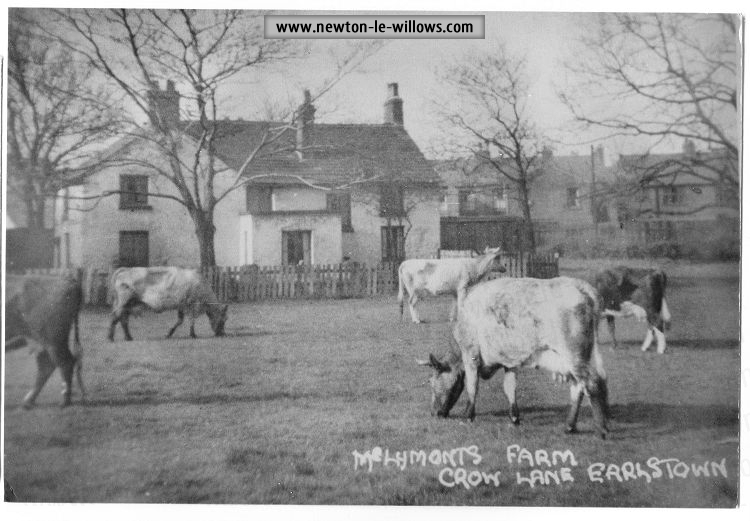 Which ever caused the projects abandonment it meant that Peter Mayor at the Tilery had half-a-million bricks thrown on his hand’s, these were later sold to the arbitrator for eight shillings a thousand, and found there way into the foundations of houses then being built for the Railway Company in Earlestown. Its this last line, which is most enlightening, upto this period, the LNWR Wagon Works had provided very few houses for its workers, and even if they did have plans for more, they had not thought to complete them. 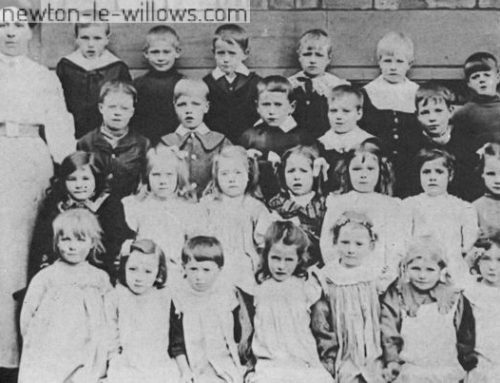 I believe that Hardman Earle took the opportunity he was offered and purchased these many cheap bricks, and that the construction of Earlestown would never have happened, but for the misfortune of Peter Mayor at the Tilery being let down by Pilkington’s with the cancellation of the Newton Glass works million bricks order. Mr Mayor remained at the Brick Works for some years after the bricks were sold off to the LNWR, but eventually the Brick Works closed, this could have been a domino type, knock-on effect of the cancelled million bricks order, after the discontinuance of the Brick Works they were taken over by a Preston firm of “glass-makers”, Messrs. Woodhall, Dean and Spencer, who were there but a short time before they closed down, or moved to different premises. The Glass Works after Pilkington’s purchased it, remained closed for a number of years, Messrs. William Stock and Son, however, having spent a fortune in building the expensive furnaces at the West Leigh works, continued in the glass trade, running their business from the works at West Leigh for another ten years,. In 1857 Mr. T.S. 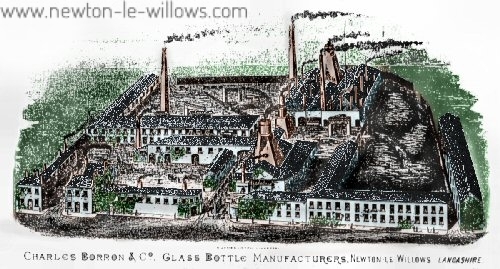 Beasley, of Manchester, tried to revive the trade in the Newton Works, but in the same year assigned his interests to Mr. Robert Gardiner, who in turn assigned them in 1861 to the St Helens Crown Glass Co., who promptly closed the works again, and effectually prevented further competition from Newton. 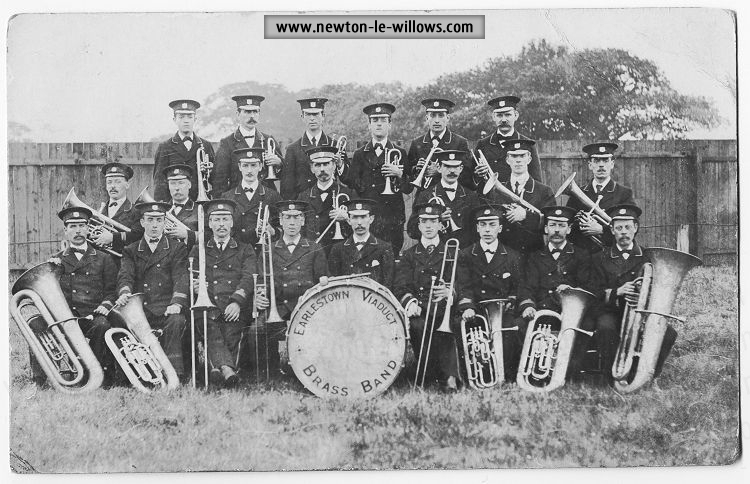 About the same time the Plate Glass Works in Sutton closed as a result of competition. 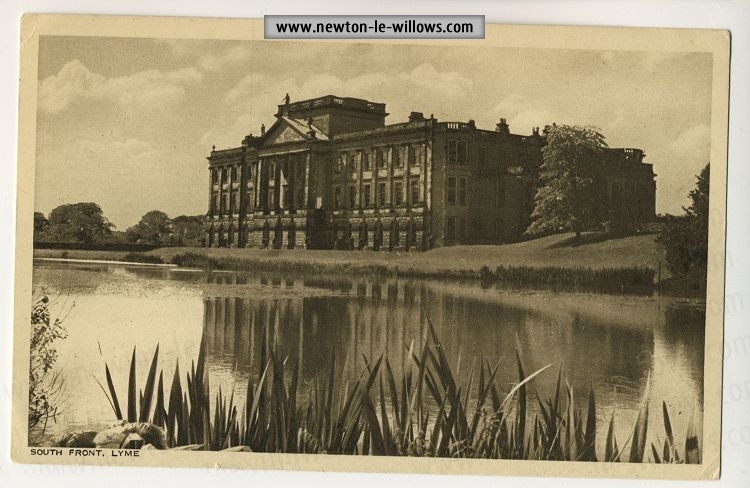 In the interim, while the works were at a standstill, the dwelling-house and garden of the manager were tenanted by a commercial traveller named Robert Taylor, whose business lay in the Manchester district. I believe this to be North Wind House which is currently still standing. In the year 1860 the Brickworks was re-opened by Messrs Richard and Thomas Walton, who took them over, calling them the West Lancashire Flint Glass Works, and using the converted old Brick Works furnaces they made there upto the year 1903 all kinds of table glass, including ruby glass, this company soon after the company either closed or moved premises as the works was empty by 1909, but oddly re-opened in Sept 1915 again as the West Lancashire Flint Glass Co, for the manufacture of flint glass bottles. In 1866 the Glass Works were re-opened as a Glass Bottle Works, by Mr. Charles Bell Ford Borron, under the title of Messrs. Charles Borron and Co. Mr. Borron was afterwards joined by Mr. John Little, of Glasgow, as partner. 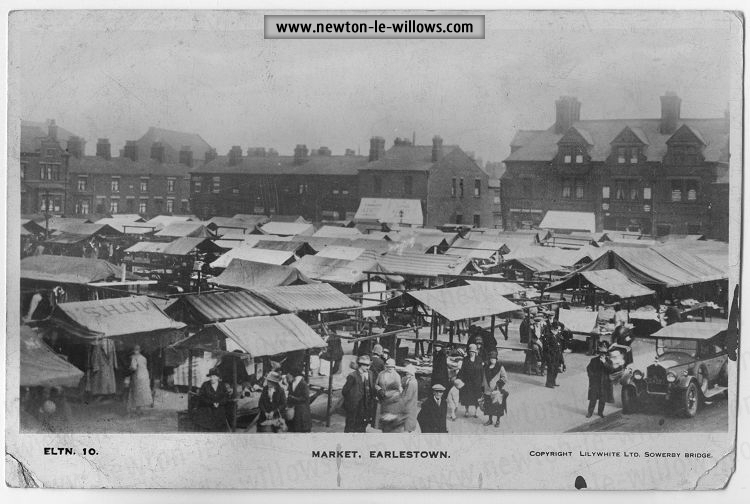 I believe that the LNWR and Hardman Earle didn’t build Earlestown as housing for its workers for any reason other than, it was a great commercial opportunity, which enabled them to build many houses, very cheaply, and to rent at normal rents to their workers.